Meet Our Doctors - Lakeland Animal Hospital, P.C. I came to the McHenry area in 1992, intending to stay just two years. I liked the people and pets so much, I'm still here! I live in the area with my wife, four children, and house full of furry friends. We really enjoy fishing, hiking and biking. I look forward to helping you care for your furry friends. Graduated from Michigan State, 1992. 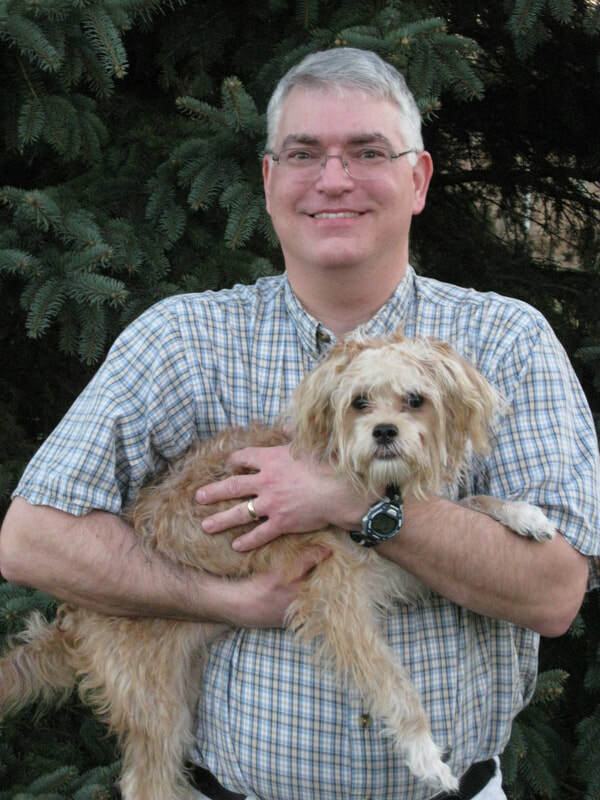 I'm originally from the Rockford area and moved to the McHenry area after graduating from veterinary school. Since veterinary school I have continued my education in alternative medicine. I am certified in Veterinary Spinal Manipulation, Rehabilitation, and Acupuncture. My husband and I are involved in training, showing and breeding of German line German Shepherd Dogs, and are privileged to co-own a national champion, the 2010 UScA Siegeren. My current dog sport passion is Schutzhund, but I have competed in and taught obedience, tracking and agility in the past. Other hobbies include hiking, reading, and computers. Graduated from University of Illinois, 1996. I started working at Lakeland Animal Hospital in May, 2012 but have been practicing veterinary medicine for 6 years prior. I am originally from northern Wisconsin and settled in McHenry County in 2006. I live in the area with my wife and 3 children. When not practicing medicine I enjoy sports, fishing, and spending time with my family. Graduated from University of Guelph-Ontario, 2006. After graduating from The Ohio State University College of Veterinary Medicine in 1988 I practiced in central Ohio on both large and small animals. In 2011 I moved to this area with my wife, three boys, and our dog Boots. We enjoy the welcoming people and safe environment here. In our free time we enjoy watching our boys compete in their favorite sports, gardening, hiking and other outdoor activities.